20-21 can design teacher training packages to best suit your school. These packages can be offered as outreach, or as a visit to 20-21. Let us help you embed arts across the curriculum and introduce you to unusual methods, equipment and themes to inspire creativity across your school. 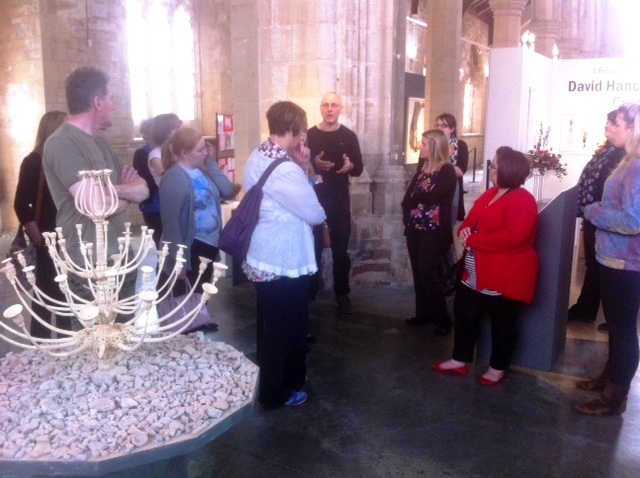 Developed on feedback from teachers across North Lincolnshire schools, 20-21 Teachers’ Group is a space for arts educators across all sectors and Key Stages to meet, share and learn skills and ideas in the arts. Realise the potential of their ideas and their school’s equipment. A one to one consultation meeting with an experienced arts educator, worth £50. How much does the 20-21 Teacher’s Group cost? The cost to join the Teacher’s Group is £120 per teacher, per academic year. There is a reduced rate of £100 for a second teacher from the same school. Membership applies to the named teacher, not the whole school staff. GTPs are welcome to apply. 20-21 run Teacher Twilight sessions that consider curriculum links to major exhibitions in the gallery spaces. These sessions are delivered with advice and facilitation from ASTs. Teacher Twilight sessions are advertised through our Education at 20-21 blog and our e-newsletters.